I had a grand European adventure last year, spending 3 weeks in 4 countries during the Christmas season. In that time I got to visit Christmas Markets in 5 different cities. 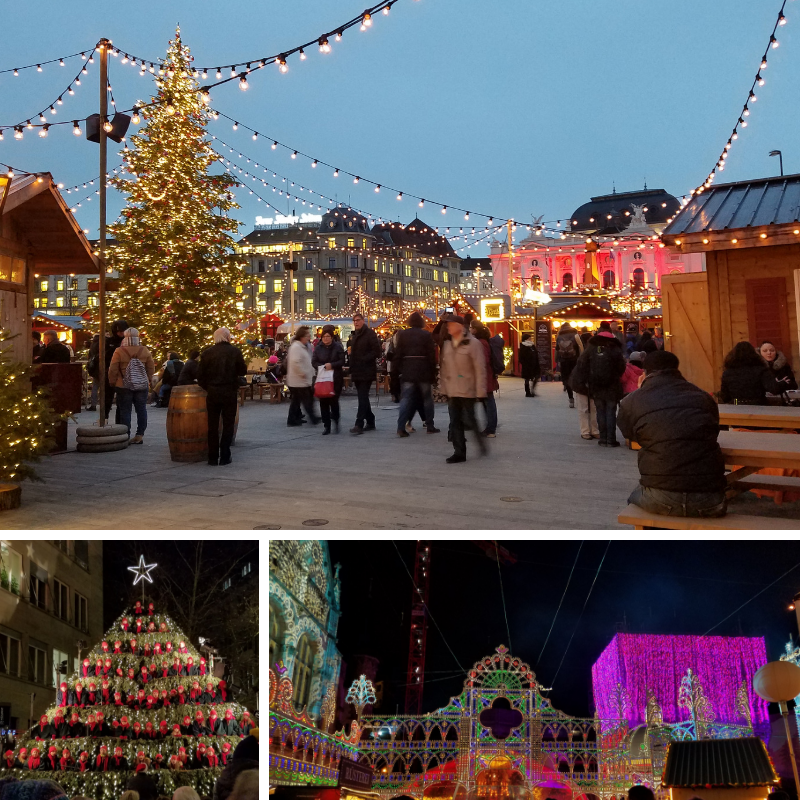 While many people think of Germany and Austria when they think of European Christmas markets, I haven’t had the pleasure of seeing them yet (maybe next year!) but I did get to see these cities and I thought they were all amazing and very unique from each other. 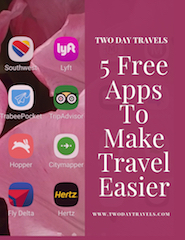 So if you’re in Europe during December and looking for a weekend getaway, consider spending Two Days in one of these cities! Zurich is filled with multiple markets across the city, including one inside their main train station! From the beauty of Old Town to the sparkly lights above the City Market to the sophisticated Opera House with an ice skating outside and mini classical concerts inside their entryway, Zurich Market’s have much to offer. You’ll find a beautiful light show in the courtyard of the Landesmuseum Zurich called Illuminarium (visiting the courtyard is free, and for an extra CHF 13 you can see a spectacular sound & light show as well). And don’t miss the Singing Christmas Tree at Werdmühleplatz – a tiered stage designed in the shape of a Christmas tree that hosts multiple choirs every night – it’s great fun! One of my favorite markets was in the smaller town of Mulhouse, France. Mulhouse is historically known for its place in the textile industry and as such, creates a special Christmas fabric each year that’s used to decorate the market stalls and various spots around town. The main market is at Place de la Réunion in front of the Temple Saint-Étienne. Take a ride on the Ferris Wheel at night and get a great view of all the magnificent Christmas lights, lightening up the market and the facades of the buildings around the square. The oldest Christmas Market in France is in Strasbourg and dates back to 1570! The old town area has various markets that are all easily walkable. Follow the illuminated lights hanging above the streets from one to the next. Each square has a unique feel despite being in the same city. 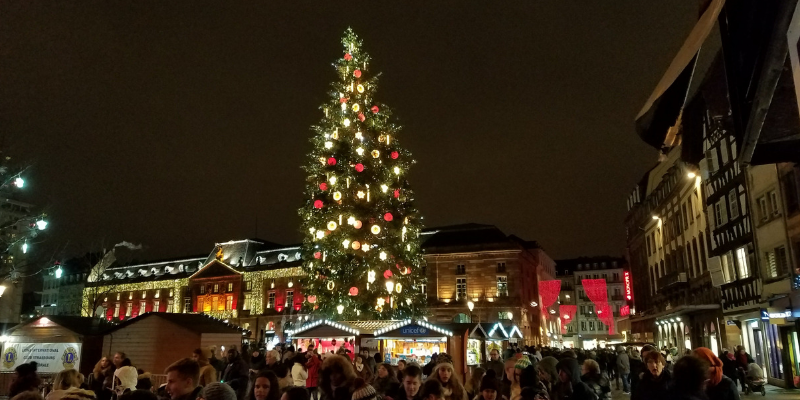 There’s a beautiful Great Tree at Place Kléber, the Guest Country market highlighting Christmas traditions from another country (it was Iceland when I was there in 2017 and is going to be Finland in 2018) and the interesting OFF Market that highlights mindful consumption in the holiday season. But be sure to walk around during the day as well, because so many of the buildings are decorated with adorable Christmas themes. There is so much to see here, you might want the whole week and not just a weekend to visit! 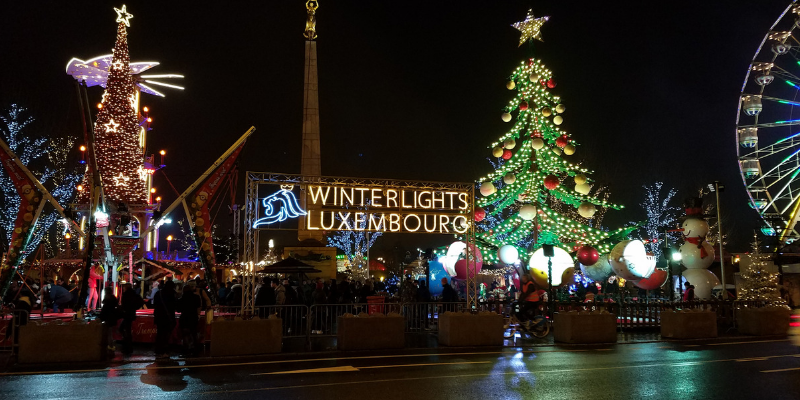 The Luxembourg Christmas Markets were great fun. 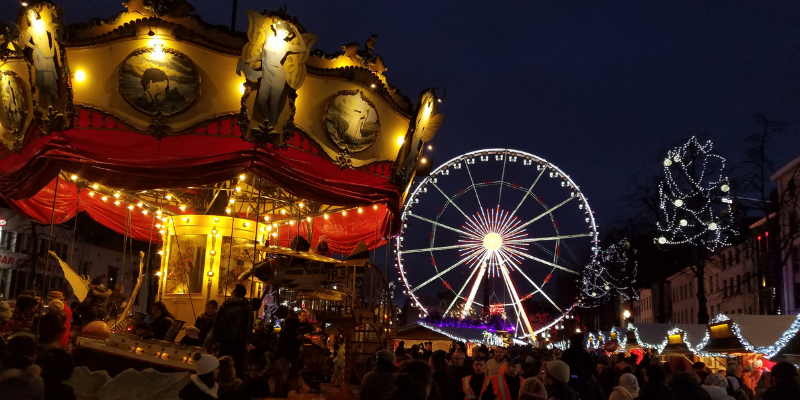 I enjoyed a ride on the Ferris Wheel at Place de la Constitution, watched the ice skaters at Place Guillaume II and enjoyed a delicious Asian noodle takeaway while listening to singers on the music stage at Place d’Armes. 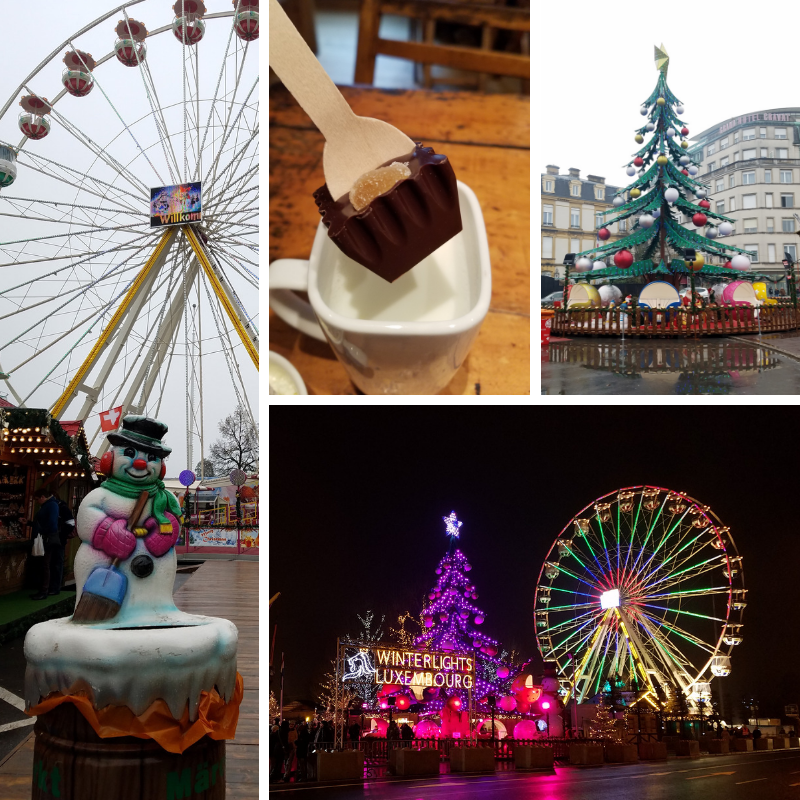 I thought my favorite part about Luxembourg was going to be the Christmas Markets, and while they were beautiful and amazing, I fell in love with their hot chocolate! At the famous Chocolate House of Luxembourg, you can pick from hundreds of differently flavored chocolate spoons to mix up your very own hot chocolate. Located in a beautiful 15th-century building opposite the Grand Ducal Palace, you can sip your hot chocolate while watching the palace guards across the street. One of the most popular tourist attractions in Brussels is the Manneken Pis – a water fountain of a boy doing his thing. What makes it even more fun is he is often dressed in different costumes and at Christmas time they don’t disappoint, he is appropriately dressed as Santa Clause, still doing his thing. Once again I was able to see the Christmas lights from above with a ride on the Ferris Wheel at Plaisirs d’Hiver and I enjoyed a gorgeous sound and light show on Christmas Day at the Grand-Place. The whole square lit up as lights danced across the buildings to the music. It was super crowded but spectacular to watch. 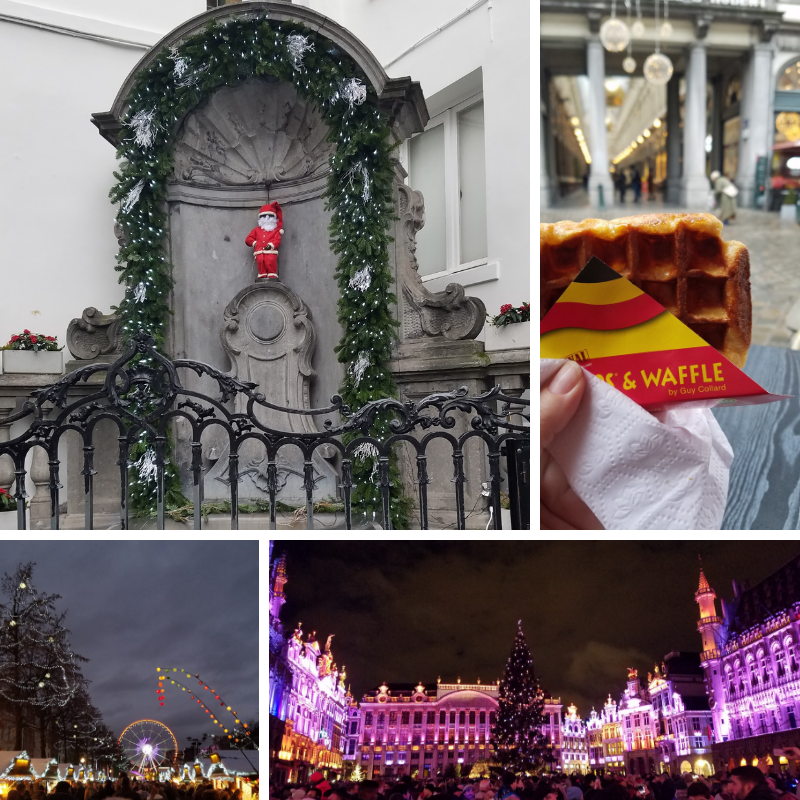 While I had a lot of great food and drink during my Christmas Market adventure, I have to admit my absolute favorite was the traditional Belgian Waffel! Plain or with toppings, you can’t go wrong with this little treat and you should definitely indulge in one when you visit. 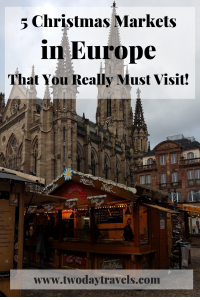 It’s been a dream of mine to visit the European Christmas Markets and while there are still so many more to see (can it be a bucket-list item to visit them all??! ), I was really happy with the one I got to visit last year and I can’t wait to go back to see more! Where is your favorite Christmas Market? Tell me in the comments below where I should go for my next Christmas adventure! OK, what was your favorite chocolate spoon in Luxembourg? I tried an Amaretto liqueur, plain chocolate, and ginger – and I think the ginger was my favorite. The warmth and spice of the ginger melded beautifully with the chocolate and gave it just a little kick! Very happy to see that Brussels made it to the list 🙂 Manneke Pis is dressed up differently for each occasion. We don’t usually visit too many Christmas Markets, but I guess this year will be different! I absolutely love Brussels! Hope you get to see some new Christmas markets this year, they’re now one of my favorite things! I haven’t been to a single one of these. My only Christmas markets so far have been in Vilnius and a few small ones in London. I love the look of all of these but particularly keen to visit the one in Brussels as it’s so easy to travel to via Eurostar for us! Brussels was amazing. I’ll need to remember the Eurostar next time I go to Europe and check it out. Also, I’ll add Vilnius to my list for future Christmas Markets, thanks! While I love seeing Christmas displays in the States, I think nothing would compare with the European Christmas Markets. How fun to see the textile specially designed for the festivities in Mulhouse. I love a nice mug of hot chocolate, so I would live to visit Luxembourg. Mulhouse was definitely the most unique, having the special fabric for each year. Of course, I did buy a set of souvenir placemats in the fabric to commemorate my visit! Looking at these amazing Christmas Markets in Europe, I feel like planning a trip here during Christmas time. The colors, the lights and the festive mood is so inviting be it Switzerland, France, Luxembourg or Belgium. 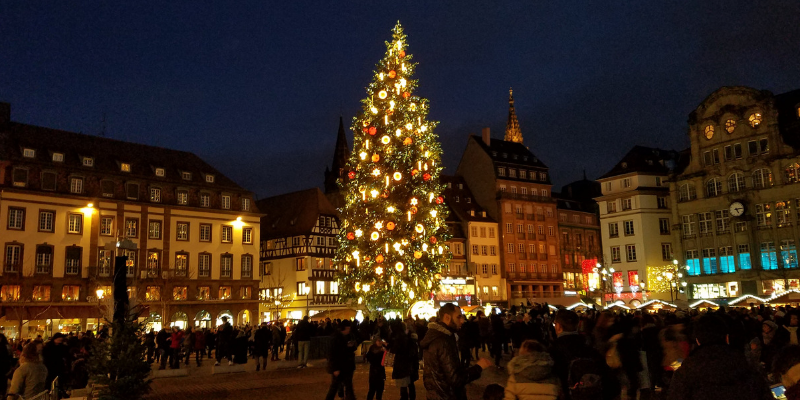 The Christmas tree in Strasbourg is huge and this being the oldest Christmas market in France makes it even more special. And that hot chocolate in Luxembourg.. yummy! Never tried flavored chocolate spoons like these before. I had so much fun trying the different hot chocolate flavors, (I went both days I was there, haha) because they were so delicious! I have read about the Christmas markets in Europe for years now and need to get over during this time! We have a version in Chicago but it is so not the same thing I’m sure. For some reason, I didn’t realize France had many so seeing two on this list is an eye-opener. Very cool! You’ll be amazed how many markets there are – almost every city has one all through Europe! I can’t wait to go back and visit more. You’ve shown me some Christmas markets that I didn’t even know existed! 😉 How cool. 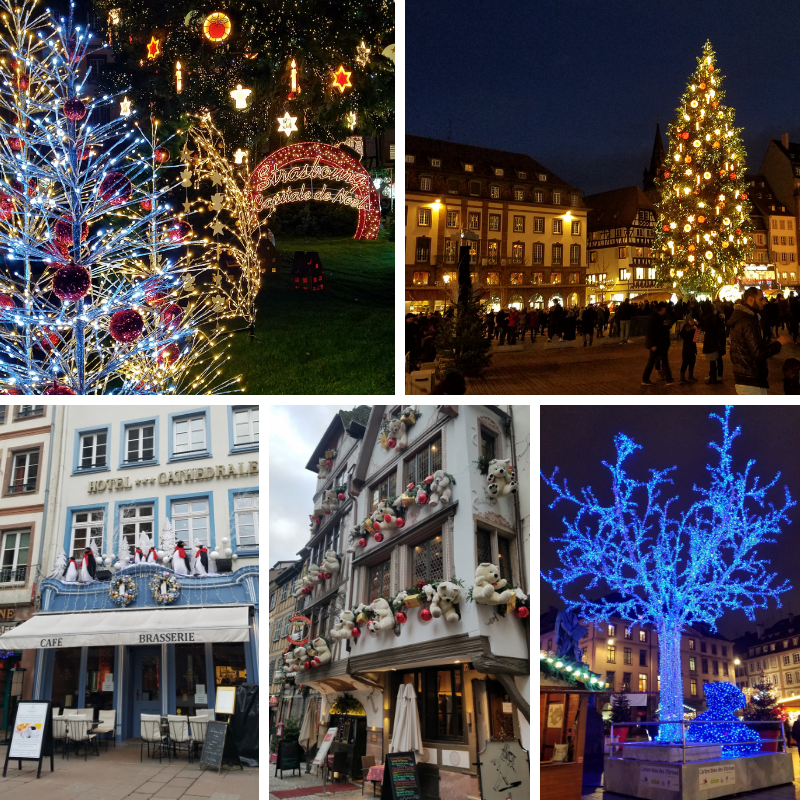 One of my big bucket list items is to go to Strasbourg for the holidays with my whole family. Maybe in a few years when our baby gets older. 😉 The one in Lux looks really nice, too, and I”ll bet way less crowded. 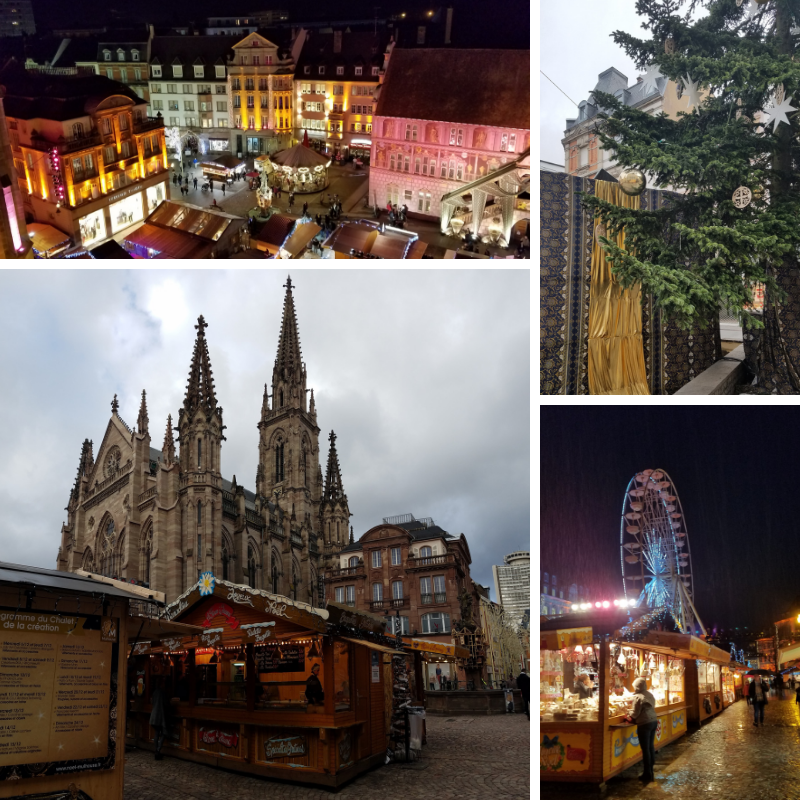 Strasbourg was so incredible, I would absolutely go back! I hope you get there one day, I think you would love it, Melody. I bet the holidays in Europe are beautiful! I loved visiting Brussels when I was young. I think I’d love to visit there again during the holidays. It’s one of my favorite cities, I’m so glad I got to see it at Christmas! I’ve always wanted to visit Europe at Christmas time, and this post just inspires me even more! 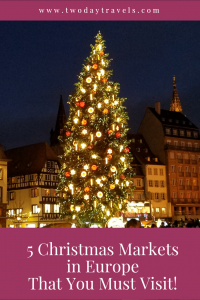 Zurich is a dream destination of mine, but how neat would it be to visit the oldest Christmas market in Strasbourg?! These all sounds lovely!! Oh, good, I hope you get to go one year soon, Maggie! Zurich and Strasbourg are close enough by train, you could easily do both in the same week! 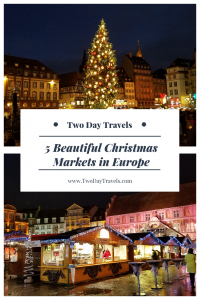 It’s a dream of mine to spend a Christmas in Europe one year – then I could go to these marvelous looking markets! It’s so different having Christmas in the summertime in NZ to what it must be like when everyone gets cosy and warm and wanders around the markets warming the insides with mulled wine! It sounds positively enchanting. I’d particularly like to visit the Strasbourg markets. I live in California so while it’s not *high summer* it is a warmer Christmas so I know what you’re talking about – it’s a very different feel from the traditional snowy, cozy, cold Christmas! I can believe how festive the Grand Place in Belgium could be on Christmas time. The buildings are already gilded, a light show at night would be so cool! Right, Carol?! They are so incredibly beautiful and decorated on their own already but add the light show and it’s an amazing experience! What charming markets! It is on our list to spend a Christmas season in Europe, just as you did. Love this post! Thank you! It was such an amazing experience, I hope you get the chance to do this soon! These all look so amazing especially the one in Luxembourg. I have only ever been to the markets in Hamburg and they were pretty cool but I really need to visit way more! Ooh, I haven’t made it to any in Germany yet!! How magical and charming. I can’t believe that I never knew this was a thing. What a waste of my tuition huh? I am joyful that you have gotten to see them. I’ll have to get to work on a list of similar ‘tropical’ sites. Yes! Christmas happens in the tropical sites too, so definitely start making a list! !